Larry Patrick Photography: Lots of People, Doing What? Last Sunday, I headed downtown Houston very early. 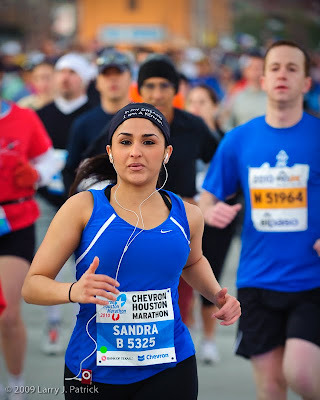 I wanted to photograph various aspects of the Houston Marathon. 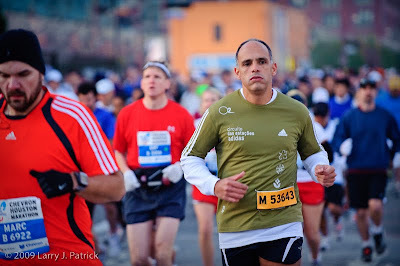 If you have never gone to and photographed a marathon, I suggest you do so. Before the start, you will meet lots of people who for some strange reason want to run over 26 miles, just to return to the same place. The pre-marathon atmosphere is more like a party than you would think. Everyone is excited. In these first photographs of the marathon, I wanted to show the magnitude of the crowds that were participating while also isolating on one person. Since these photos were taken at sunrise, I shot them at ISO 4,500. I did set black and white point and did apply some noise reduction in Lightroom. I cannot believe these were shot at that high of ISO. I guess the D3 is what they say it is. Like how you show so many people. I am a runner who has run in many 5Ks and 10Ks. I think you captured the start of the race perfectly. I do not see the point of these photos. Well I'll be....what are the odds...Cecily, known her since she was a baby! Your D3 at ISO 4500, WOW colors just pop out. 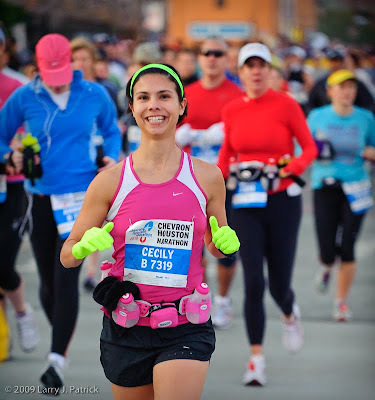 Nice photos, and what runner wouldn't want their picture taken as their on the go. Top notch photo of the action. You captured every aspect of marathon runners, their mood, the colors, their strides. Not a runner, but I do like all the colors, especially the girl with the pink top and green gloves. Just don't get why these people would do this. Photos show the magnitude of the people who do this.